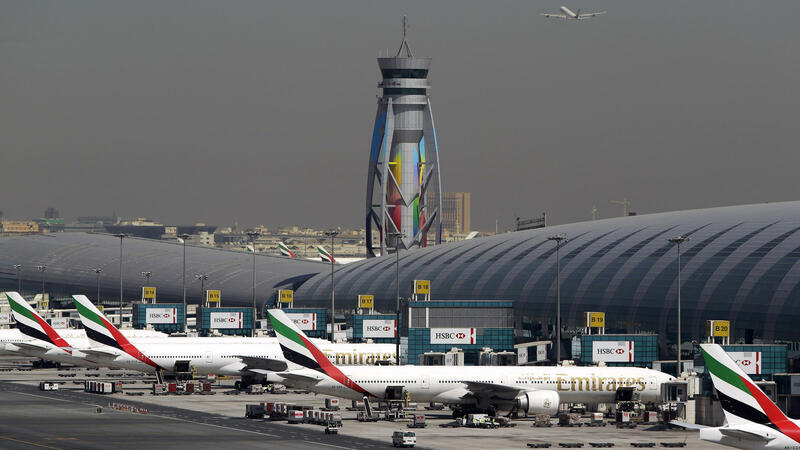 Emirates passenger planes are parked at their gates at Dubai International Airport in the United Arab Emirates. The U.S. restrictions require most electronic devices, including laptops, tablets and cameras, to be placed in checked baggage on direct flights to the U.S. from eight mostly Muslim countries, including the UAE. The measures took effect Tuesday morning, and in the U.S. they cover about 50 incoming flights a day from the eight countries on the list — Jordan, Egypt, Turkey, Saudi Arabia, Kuwait, Morocco, Qatar and the United Arab Emirates. All are traditional U.S. allies and none is among the six majority-Muslim nations on President Trump's controversial executive order that seeks to temporarily suspend immigration. The president issued a revised executive order on March 6, and that one, like the original in January, has been halted by the courts. The six countries cited in Trump's order all have fraught relations with the U.S., and several are plagued by unrest or civil war, including Syria, Libya and Yemen. In contrast, the countries on the new U.S. airline list are mostly stable, have generally good relations with the U.S. and include four wealthy states in the Gulf. Britain, meanwhile, has six countries on its list — Jordan, Egypt, Turkey, Saudi Arabia, Lebanon and Tunisia. The differences appear to be based on the different airlines that fly into Britain and the United States. The two countries held consultations before making their separate announcements. "We have been in close tough with the Americans to fully understand their position," the British government said in a statement. The U.S. officials said the airplane restrictions are based on intelligence indicating that terrorist groups are still plotting to blow up civilian planes. 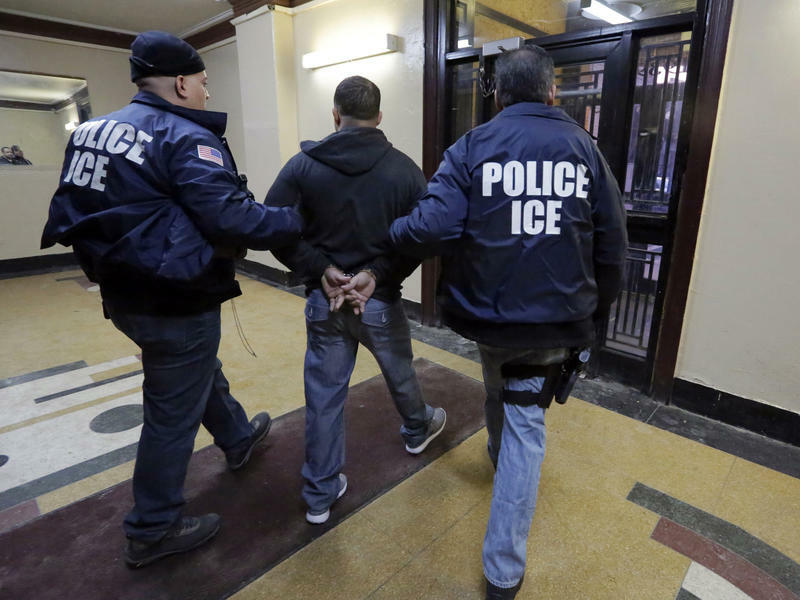 The officials stress that the latest measure is not related to the president's executive order, but it's certain to draw comparisons amid the ongoing political and legal battle over Trump's immigration order. Royal Jordanian Airlines announced the security steps on Twitter on Monday afternoon. The tweet was deleted shortly afterward, but it prompted Trump administration officials to speak to reporters Monday evening, in advance of the measures taking effect Tuesday morning. The U.S. action covers 10 airports in the eight countries — Amman, Jordan; Cairo; Istanbul; Kuwait City; Casablanca, Morocco; Doha, Qatar; Jiddah and Riyadh in Saudi Arabia, and Dubai and Abu Dhabi in the United Arab Emirates. That list appears to include every airport in the region that offers direct flights to the U.S. except one — Israel's main airport just outside Tel Aviv. U.S. authorities have expressed concerns in the past that explosives could be placed inside electronic devices. However, the administration officials declined to say specifically how this move would enhance security since it doesn't ban electronic items currently permitted on planes but just requires that most be placed in checked bags. Passengers can still take smartphones or essential medical devices into the cabin. But larger items, including laptops, tablets, cameras, DVD players and electronic games, will have to be checked. The officials cited attacks in recent years by extremists, including the downing of a Russian charter plane in Egypt in 2015, which was apparently caused by an explosive device on the aircraft. The officials also noted airport attacks carried out by gunmen in Brussels and Istanbul in 2016. U.S. carriers are not affected because none travel directly to the U.S. from airports in the eight named countries. The measure does not cover flights leaving the U.S. However, Britain said its rules apply to six U.K. carriers that fly back to Britain from the Middle East or North Africa, including British Airways and EasyJet. American officials said they started reaching out on Sunday to make sure the countries and airlines knew the new regulations were coming. For the past several years, U.S. authorities have expressed great concern about the bomb-making skills of the al-Qaida satellite in Yemen and have cited group member Ibrahim al-Asiri in particular. Yemen is on Trump's immigration ban, but there are no direct flights from that country to the U.S. However, Yemen is relatively close to the four Persian Gulf states on the airline list. The U.S. is tightening rules about electronic devices allowed in carry-on baggage. The new security measures cover direct flights to the U.S. from eight majority-Muslim countries. This, of course, comes as President Trump is waging an ongoing legal battle over his travel ban for six other majority-Muslim countries. Here to explain all this is NPR national security correspondent Greg Myre. Good morning, Greg. GREG MYRE, BYLINE: Hi, Rachel. MARTIN: So these are separate countries from the countries that were included in the travel ban? MYRE: Absolutely. And what's very interesting here are these are traditional U.S. allies, and these are the stable countries in the region. We're talking about four wealthy Gulf states - Saudi Arabia, Qatar, Kuwait and United Arab Emirates - and four other U.S. allies - Turkey, Jordan, Egypt and Morocco. It's almost the opposite demographic of the travel ban. These are sort of wealthier, more prosperous countries as opposed to sort of the troubled countries that have fraught relations with the U.S., like Syria, for example. MARTIN: So before we get to the intention behind these new restrictions, can you just lay out exactly what are the new rules? MYRE: Right. So the travelers will still be allowed to take their smartphones on their planes, but anything larger than that - a laptop, a tablet, a camera - that will have to be placed in checked baggage. So it doesn't affect the travelers themselves, just the devices that they can bring into the cabin of the plane. MARTIN: We should say these are long flights. And people use those devices to entertain themselves for 10, 12 hours sometimes. MYRE: Exactly. And again, these are - these tend to be a lot of business flights. So you look at a plane like this, and it would be - tend to be full of businessmen or businesswomen with their heads buried in a laptop for the length of this flight. Now they're going to be restricted to a smartphone. MARTIN: So Department of Homeland Security has - is behind these new rules. Do we know anything about what the intention is behind this? I mean, clearly it's about security, but anything more specific? MYRE: Not really. They didn't say if this was based on new intelligence or existing information. Now, it's a known threat that perhaps an explosive device could be put in an electronic device. And one could certainly think that that is the starting point for this. MARTIN: Well, we don't have any - there's no new threat specific to that. MYRE: They did not mention any new threat. So we're not - none that we're aware of. MARTIN: How are these countries responding? I mean, I know Royal Jordanian Airlines tweeted out, just as a courtesy to their customers, that this was happening. But have we heard any response from the governments of these countries yet? MYRE: That's about all we've heard so far is announcing it. And they're going - basically going into effect immediately. They have four days. But some, like Royal Jordanian, have already announced them. But it's certainly going to be a hassle for the airlines and their customers. And again, these are countries with very good relationships. They have not - places that generally have not been targets for terror attacks. I mean, the one concern that the U.S. has brought up many times is al-Qaida in Yemen as a potential threat with very skilled bomb-makers, in particular a guy named Ibrahim al-Asiri. And Yemen is not on this list, but it's near those Gulf states that have been placed on the list. MARTIN: So two quick clarifications. This does not apply to U.S. flights leaving America to fly to these countries, correct? MARTIN: And then secondly, do we know how long this - these new rules are supposed to be in place? MYRE: It's open-ended. They say it will be reviewed regularly, but it's going to be a standing order. MARTIN: Buy some new paperback books, long ones, for those flights. NPR national security correspondent Greg Myre. Thanks, Greg. MYRE: Thanks, Rachel. Transcript provided by NPR, Copyright NPR.